If you’re a nostalgic who dreams about the good old days of Motorsport chances are you’re drooling at the thought of seeing a BMW M1 or BMW 3.0 CSL out on a proper race track during your lifetime. Since these two iconic models have been put to rest from competitions held by the FIA, seeing them outside museums or car shows and actually performing on a proper track is a rare occasion. One such opportunity has just popped up if you happen to live in Austria or plan to travel there this weekend. BMW just announced that both of them will be driven on the Formula 1 track in Spielberg this weekend ahead of the Austrian Grand Prix. On Sunday 1 July 2018, the pageant of historic racing cars and celebrity drivers otherwise known as the Legends Parade will once again unfold at the Red Bull Ring in Spielberg, Austria. Just before the race , eleven touring-car classics from the 1970s and 1980s will re-live the glory days of the German Racing Championship (DRM – “Deutsche Rennsport Meisterschaft”) at the Red Bull Ring. The “Deutsche Rennsport Meisterschaft” was held from 1972 to 1985. It quickly developed into Europe’s most important and popular touring-car series. Numerous works teams and private racing stables provided some spectacular competitions for many years. Although the vehicles competing in the races were derived from series models, they were strategically tuned for high performance with comprehensive and advanced modifications. The BMW M1 from the BMW Group Classic collection will join the ranks of the Legends Parade in Spielberg. Formula 1 driver Christian Danner will be behind the steering wheel. 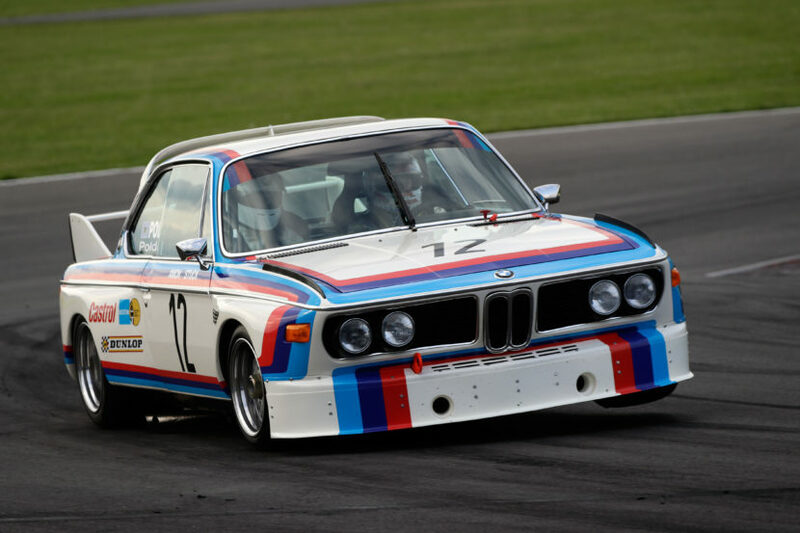 The array of erstwhile race cars from the German Racing championship also includes three additional BMW motor cars from private ownership, including a BMW 3.6 CSL Alpina which will be driven by none other than three-time Formula 1 Champion Niki Lauda.